Heat the oil in a medium saucepan over high heat. Roll the sausage mince into small balls and cook in batches, turning, for 3 minutes or until golden. Remove from the pan and set aside. Add the tomato purée and water to the pan and bring to the boil. Return the meatballs to the pan. Add the lentils, salt and pepper and cook for 1 minute. 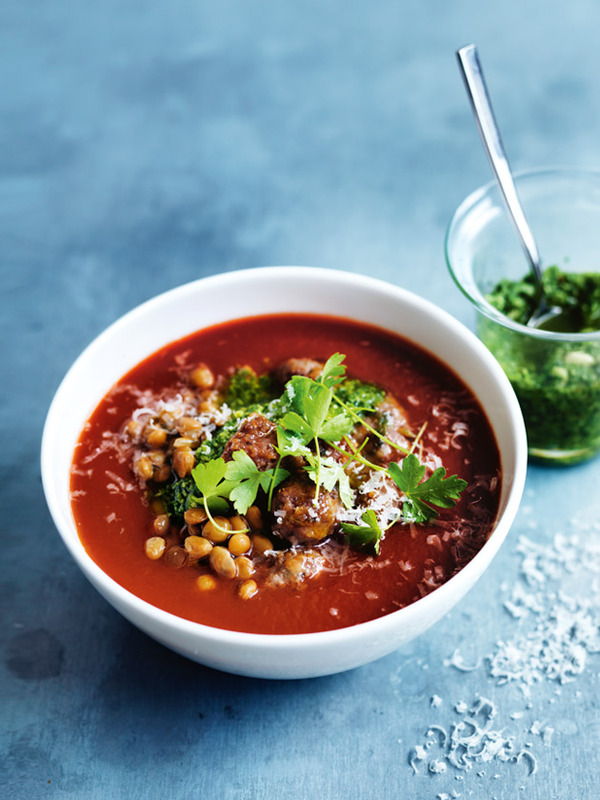 Divide the soup between serving bowls and top with the pesto, parmesan and parsley to serve. Serves 4.